Former One Life to Live star Tika Sumpter (ex-Layla) is about to get in on the Black-ish craze. Sumpter, who is currently on OWN&apos;s The Haves and the Have Nots, will star in a flashback episode of the hit ABC comedy. A Rainbow-centric episode will center around the teenage version of the Johnson&apos;s mom, played by Tracee Ellis Ross. According to The Hollywood Reporter, the episode will be a backdoor pilot focusing on the teen years of Rainbow&apos;s life set in the 1980s and 1990s. Sumpter, along with Anders Holm, will star in the series as Bow&apos;s parents Paul and Alicia. It will also feature Aricia Himmel as the younger Rainbow, Ethan William Childress as Johan, Mykal-Michelle Harris as Santamonica, Gary Cole as Paul&apos;s father, Harrison and Christina Anthony as Alicia&apos;s sister, Denise. If the show is picked up, it will be the second Black-ish spinoff and will air on ABC. Sumpter will pull double duty as she will be featured on The Haves and the Have Nots, which is airing its season 6 midseason finale Tuesday night. New episodes will return in May and the seventh season is set to return in 2020. 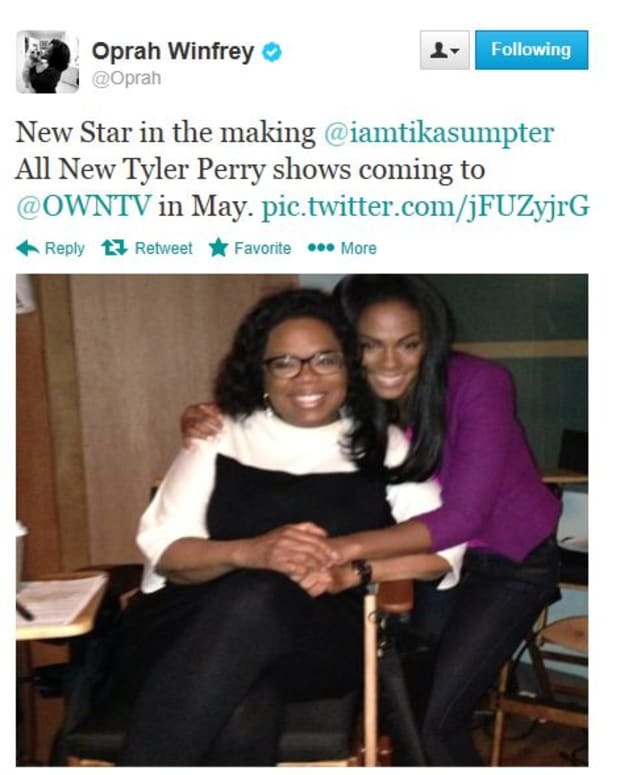 Tika Sumpter to Star in OWN/Tyler Perry Scripted Series!